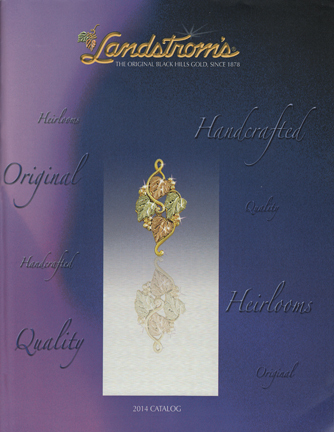 Landstroms 2014 catalog featuring our traditional classic pieces, as well as our new contemporary designs, showcasing complete sets of jewelry to assist you in purchasing matching pieces. 76 pages of quality Black Hills Gold jewelry from the company that started it all, Landstroms. If you prefer to order a hard copy of Landstroms 2014 Catalog, click "Add to Cart" below. Landstroms Catalogs are non-returnable.